The Silverlake Leather Convertible Crossbody is like a grown-up version of a school satchel. I love the hardware and flappiness; you can remove the strap and fold it over to use as a clutch. I would go for the olive green or dove grey leather for fall. 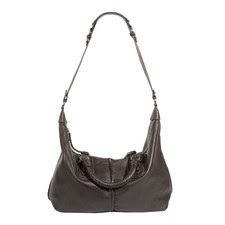 The Pacific Leather Slouchy Satchel is a classic. It looks like a slightly equestrian version of a vintage doctor's bag. The chocolate patent is stunning. 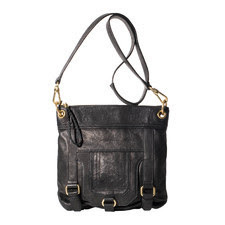 The Pacific Leather Slouchy Satchel combines the best aspects of the previous two. It looks luxe and can accommodate a ton of stuff. Without making you look like a pack mule. The braided handle is a lovely touch. Last, but not least is the Bayside Shopper. This is my personal favorite. Its simple but elegant design is stripped down to the very basic essentials, with no extraneous doo-dads to fuss over. 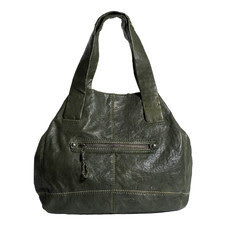 I don't usually buy handbags in multiple colors but I would love to own it in olive and teak and mushroom and black… this one won't ever look outdated. 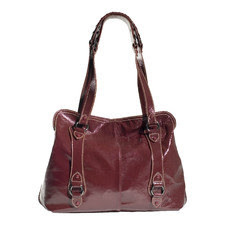 My favorite is that Silverlake Convertible Hobo Satchel in brown. I know that it is Hannah Montana's favorite and I'm sooo embarrassed. Her PR person must have suggested it; that's all I can figure! It's on my Christmas wish list too! Love the new bags! I've always loved what they have, they are well known for their materials! I LOVE my Sak- I can't remember the name but it has the Peace and San Francisco theme. Awesome bags!